Get outside and explore nature in High Park with your whole family! 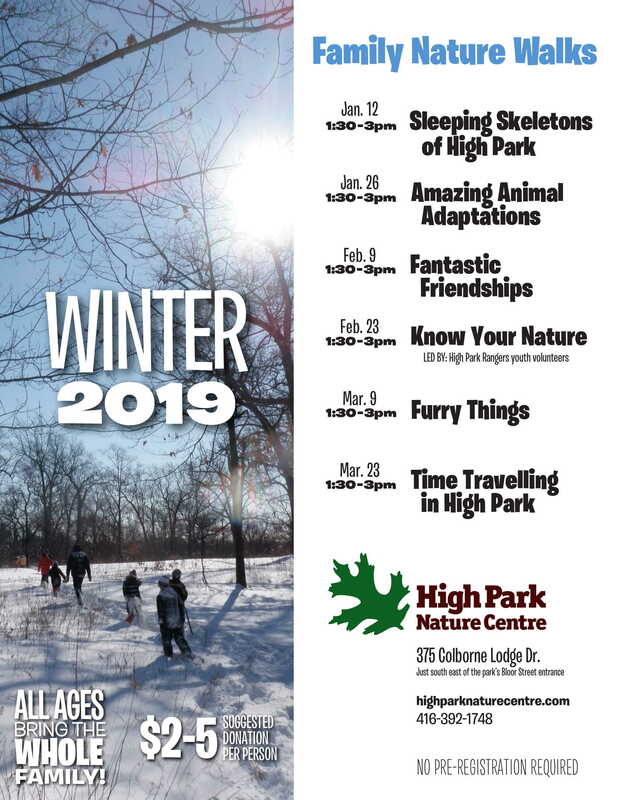 Grandparents, parents, teens, children and babies alike will love this chance to discover the natural wonders in High Park’s incredible savannahs, woodlands and wetlands. Walks are led by their amazing nature interpreters, as well as the High Park Rangers and the High Park Eagles Youth. The meet up spot is 375 Colborne Lodge Drive at 1:30 pm.